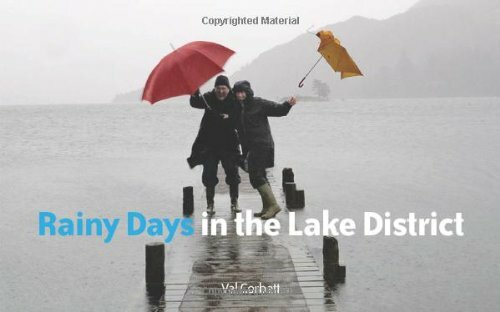 A delightful book by Val Corbett demonstrating through more of her wonderful photography how the Lake District can be fascinating and enjoyable whatever the Cumbrian weather might throw at us from time to time. See more of the same author's beautiful photography in: Winter in the Lake District. Photographer Val Corbett knows it can rain in the Lake District - and she revels in it. In this little book she has been out in the foulest weather to capture the rolling clouds, the fleeting rainbows and the sodden sheep. She has photographs of wild days, gentle drizzle and benches floating by in the aftermath of the recent floods. She also takes a wry look at the dripping anoraks of fell walkers huddled by the fire as the rain patters on. The photographs are superb but this is essentially a fun book - a holiday souvenir and a reminder to look on the bright side, whatever the weather. Ideal For: This would make the perfect book for anyone with an interest in the Lake District or Landscape photography.